Posted on May 6, 2015 at 11:06 am. Wacky weather aside, we are happy to announce you are officially halfway through your work week! Why not celebrate with taking a few minutes to skim over a few of the weeks top stories–it’s time, once again, for your midweek mashup! How much is that doggie in the (digital) window? 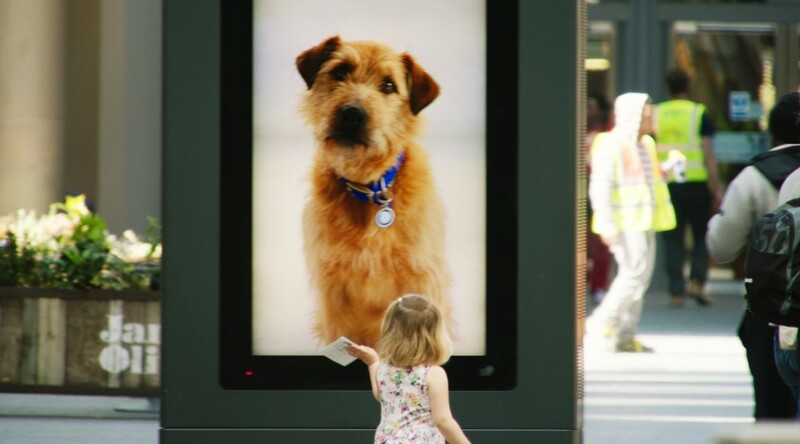 The latest interactive campaign created by OgilvyOne promotes pet adoption for Battersea Dogs and Cats Home by featuring playful dogs that appear to follow you in interactive billboards spread acoss the UK. “Battersea rehomes animals all over the UK and beyond, and this could help encourage people to choose to rescue a dog,” says Carly Whyborn, head of operations at Battersea. “We’re using innovative technology in a way that has never been seen before, and we hope more of our abandoned animals find loving homes because of it.” Who can resist this? 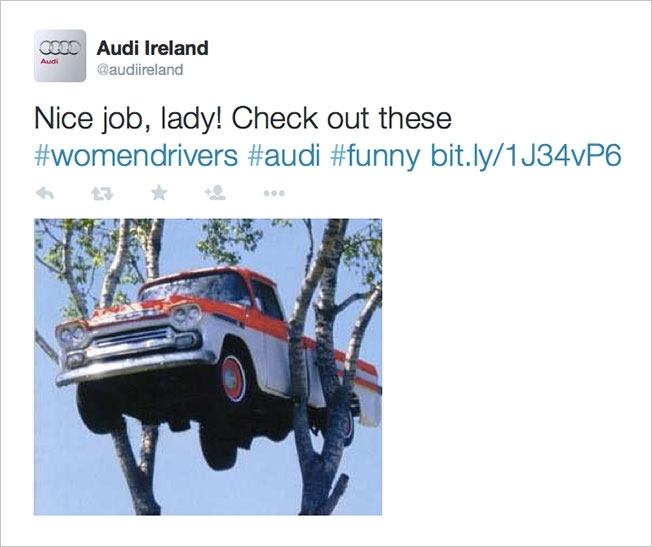 While women are often stereotyped as bad drivers, Audi Ireland flips this fallacy on its head by sharing humorous images that appear to poke fun at female drivers, when in reality, they actually honour a number of women being real drivers in the fields of technology, science and sports. Have a watch of the video below to see a bit more about the campaign. Powerade’s Latest Billboards Will Have You Working Up A Thirst! When the ocean calls, one must answer. That is the mentality behind Quiksilver’s latest wetsuit creation; a suit that doubles as both a business suit for office-wear and wetsuit for catching a quick wave in between meetings. Rather than deal with the time consuming (and tiresome) task of changing in and out of a wetsuit, this latest creation (available only in Japan, at the moment) lets you weave the sport of surfing into your life as a working professional. Quiksilver brand director Shin Kimitsuka states, “As your lifestyle changes, you have less time to go surfing. I thought it would be interesting to offer this product as a new solution to deal with this issue.” Anyone else up for a wave during lunch?